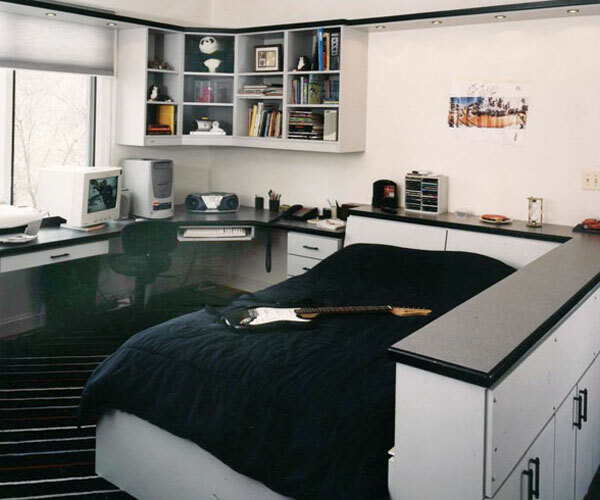 A custom made built in bed and a built in headboard save space. This combination of a built in bed with a headboard is a practical idea in kids rooms as well as master bedrooms. A built in bed can be custom made to match the size of your room while the headboard will serve as storage space for books and/or toys. Do you want to keep your Kids room organized? We know that children do not mind a little extra help in keeping their rooms organized. With this in mind, we design kids rooms with drawers and headboards specially designed for Kid's beds. Utilize kids room space and keep the mess away. 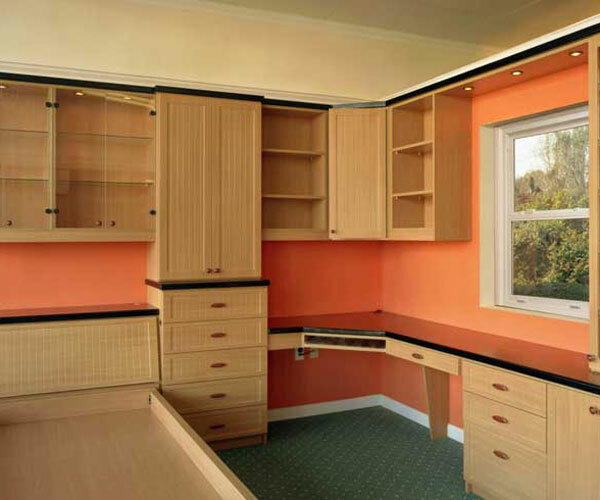 We do kid rooms wall repair and painting and kid room shelves decoration. Proper Baby kids room ideas will make your new baby experience even more memorable. EDC also manufactures kids room desks. Competitively priced custom made children’s desk with matching book shelves. Call for a Free-In Home Design Consultation. 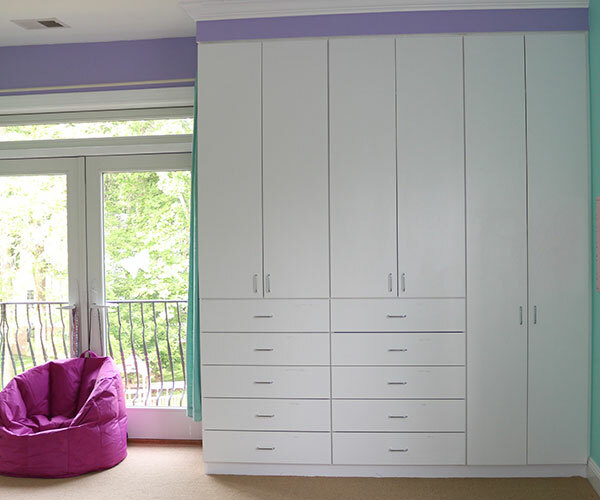 Help keep your child’s room organized with a beautiful Wardrobe System. We build kid’s beds to match your unique requirements. We design, manufacturer, and install our products, cutting the middle man. We pass the savings to you. 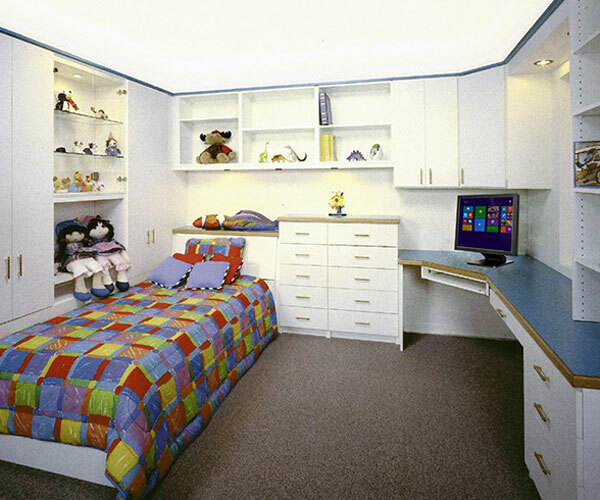 Are you looking for a kids room design that works, utilizes space, and pleases your child? 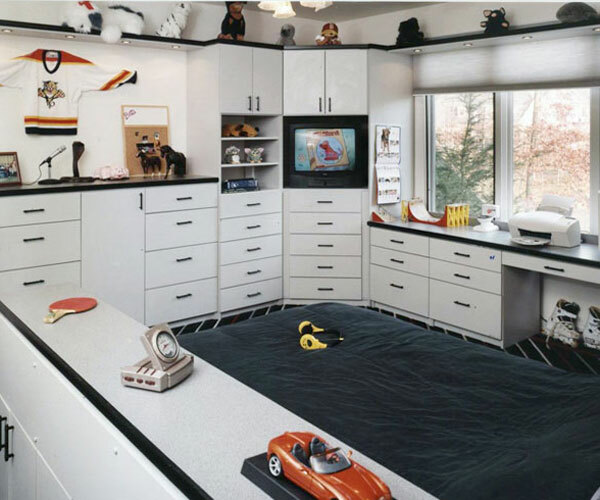 Euro Design Center specializes in Kids room organization and kids room design. Browse thru our kids room organization pages and give us a call. Our design experts go far beyond the pink kids room for girls and blue kids room storage for boys theories. 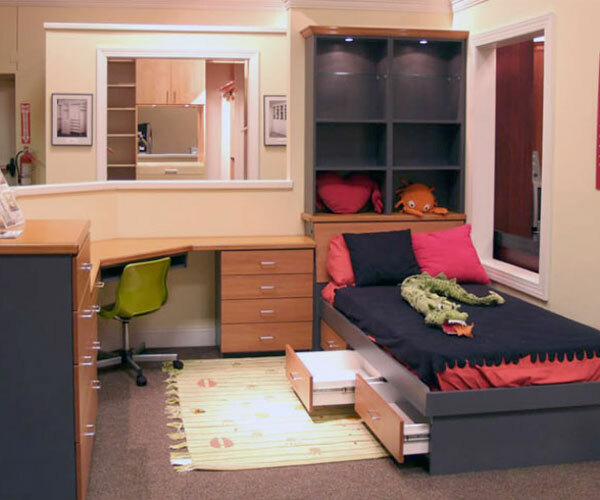 This kid's room utilizes available space in the room while creating a design for the child to enjoy. Kids bed consists of under bed drawers and a headboard with storage. 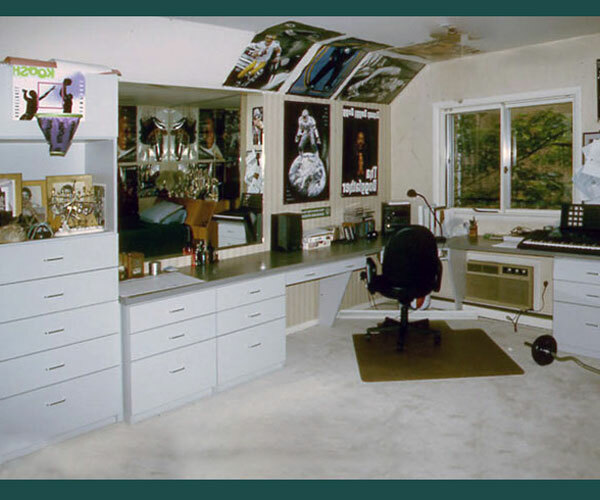 The desk and the surrounding area gives the child ample work room. Kids Bed Headboard saves room while providing convenience. 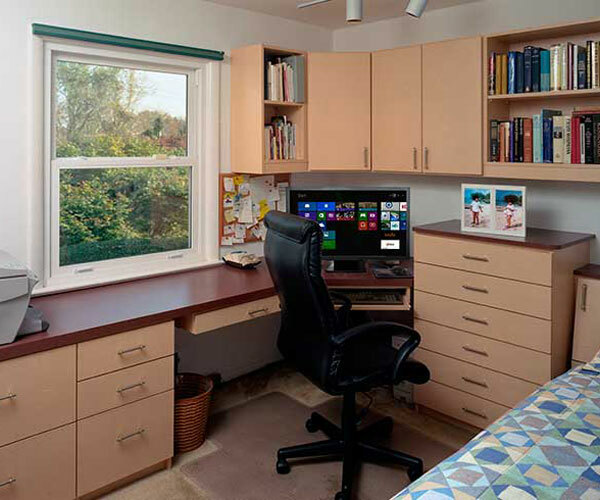 The counter top of the desk extends over the headboard giving additional countertop space. Wall against the bed is utilized as storage space. Euro Design Center (European Closet inc.) is a leading designer and manufacturer of Kids Room Desk and other Kids Room Furniture. We install kids room desk and kids room furniture with our highly trained team of kids room furniture some with over 20 years experience with our company. We design manufacture and install custom kids beds in Maryland, Virginia, and Washington DC. Visit our showrooms in Rockville and Beltsville, MD and find out about our Kids Beds collection. We can Custom Design Kids Headboards and storage space in Kids Headboards so that your child will have an easy place to store his or her belongings. Making a good kids closet is no kids stuff. But after working with our design experts, you will find out how practical we can make your kids closet. 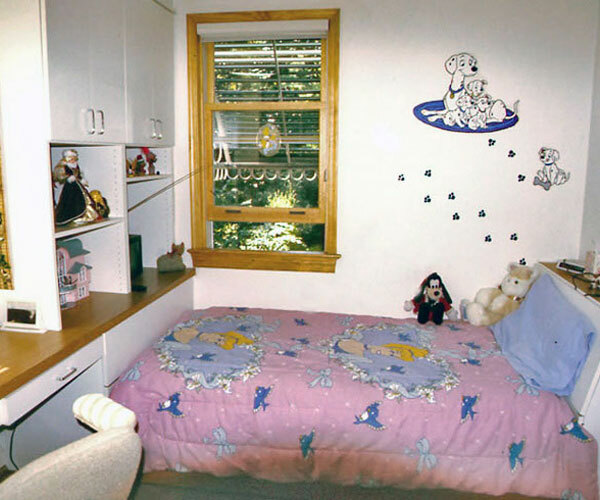 Kids closet offers many unique features, such as head boards and drawers under beds, targeted for kids. Bunk beds is another item in kids closet. Call us Toll Free and ask about our Kids full beds. We have been making Kids Full Beds and other kids room needs in Maryland, Virginia, and Washington DC for three decades. We make Kids Full Headboard either with or without storage capacity. Kids Full Headboard provides a convenient place for kids to store their belongings. Kids room decorating ideas and Kids room decorations are services provided by EDC kids room decorations, the kids room decorating ideas division of Euro Design Center, a local kids room furniture company. Whether your kids room is Pink or Blue, or any other color, whether you simply wanted a kids room wall painted, a simple kids room décor, kids room decorating ideas for a blue kids room, kids room decorating ideas for a pink kids room, we can help you.